Your SEO Hosting Solution is Here! We understand the impact of IP address neighborhoods can have on ranking. It's important to keep each project or site separate from each other on diverse and spam free IPs. Why is that? Think of an ant trap. One gets poisoned and brings the poison back to the whole colony. If all your SEO sites are on a different IP, it prevents the entire colony from falling victim to privacy and security violations. If one site has issues that affect ranking, like spam, only that site will have its SEO affected. Separate IP addresses also promotes market segregation, marking each client individually. We live SEO, we thought of everything! If it ain’t broke, don’t fix it. That doesn't mean it can't be improved! We decided to take something that wasn’t broken and used it to make our platform even better. Wordpress is one the most popular CMS solutions that has been trusted for years. The best part of using WordPress is that it's familiar and extremely user friendly. Plus, it’s free! You don’t need to relearn a new whole system to deploy your SEO platforms. It’s automatically built-in to our platform. If you are setting up a new client, then setting up a WordPress could not be any easier. Other SEO hosting providers are oblivious or just don’t seem to care about the type of sites sharing an IP address. Sites shared through an IP should be above the board, otherwise it means dire consequences for your sites. Likewise, sites that are located in safe neighborhoods that are free of spam and negative SEO will boost your page’s SEO success. Internet Marketing Team knows the importance of clean IPs and exclusively utilize the best shared IPs while maintaining an ample and diverse supply. Not only are the neighborhoods safe, but we add an extra layer of security by "jailing" each site within the system, ensuring that your site is kept safe from any sites that might be compromised on the IP address. Have you always wanted to be able to manage all your sites through a single interface? We understand that you probably have multiple clients with a many sites. That can get challenging to handle without a proper management system. It gets even more tedious when managing each site through CPanel. We developed a hosting solution to handle our business needs. As SEOs ourselves, we appreciate that importing websites in bulk is often a long process. 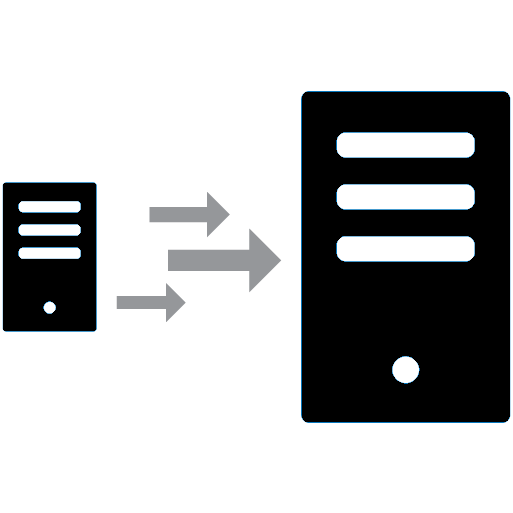 With our hosting services, you do not need to worry about using multiple platforms to manage your clients. Our program creates one unified system for importing sites. The design of our platform is smoother than 30-year-old scotch. Say goodbye to bulky platforms that are hard to navigate. Our program can be accessed on any computer or mobile device for ease of use. You can deploy site from whatever device is closest to you. Consolidate your business into one organized platform. Our SEO hosting service will keep everything together. It clearly organizes your clients or SEO projects by name, client, IP address. Each client is automatically sorted and organized into categories that you specify. Search functionality built into the manager allows you to easily find any web resource. This interactive and consolidated platform makes it easy and simple to manage your WordPress accounts. If you need to manage any content on your accounts, our interface makes it easy. You can also manage linking and anchor texts. Do you want to keep a few old hosting accounts? That is perfectly fine! You can still get the full use out of our SEO hosting program. With our manager tool, you will still be able to import your clients’ files and domains. All the benefits of managing linking, anchor texts, and content are still accessible. Plus, you are still able to catalog and keep track of everything. When you are ready to use our hosting solution for all your SEO projects or clients, full integration is easy and at your fingertips. What could be a better system? Our SEO hosting solution has been tested and utilized for our own clients and we know that you will find it to be an easier, safer, and more organized SEO hosting solution than any other option out there. What SEO Manager Features do we Offer? Ever dream of a world where you could literally have it all? It sounds too good to be true. Well, we at Internet Marketing Team have a system to help you out with all things SEO so that you can have it all and manage it all. Once you take the leap, we can offer you a system that will simplify all your SEO needs. Our hosting manager will take all your domains in bulk and add them all into an elegant hosting solution that offers hundreds of clean and safe IPs. What do we mean by clean? Our IP addresses are only shared amongst quality business pages across the Internet. It is not full of junky and spammy websites. To top it offer extra security by "jailing" each and every site within the system. Why use our SEO Hosting system? Our system compiles all your SEO projects into one, user friendly interface? By making it easier to organize all your SEO projects into one place, you can easily keep track of them all. Plus, you can organize them into different categories like client, project name, content type, or keywords. What else do we offer? Our system offers compatibility with WordPress. WordPress can be automatically installed for any domain you may have. To sweeten the deal, any content you have can be easily sent to WordPress with the click of a button. No extra effort on your part. You just have to make the decision to join us. We believe in our product and our competitive pricing. Originally, we used this system for ourselves, but now we want to share it with the community.